The overall survival (OS) benefit with quizartinib in patients with relapsed/refractory FLT3-ITD-mutated acute myeloid leukemia (AML) was observed across patient subgroups and reproduced consistently across sensitivity analyses, according to an update of the pivotal phase III QuANTUM-R study presented at the 2018 ASH Annual Meeting. Previously reported data from the trial showed that the FLT3 inhibitor quizartinib reduced the risk of death by 24% compared with salvage chemotherapy in patients with FLT3-ITD–positive relapsed/refractory AML after first-line treatment with or without hematopoietic stem cell transplantation (HSCT). This OS benefit was upheld across 3 prespecified sensitivity analyses. In the first, which censored for the effect of transplant, the median OS with quizartinib versus salvage chemotherapy was 5.7 versus 4.6 months (HR, 0.79; 95% CI, 0.59-1.05; P = 0.519). An analysis censoring for the use of other FLT3 inhibitors showed a median OS of 6.6 versus 5.0 months, respectively (HR, 0.74; 95% CI, 0.55-0.99; P = .0203). 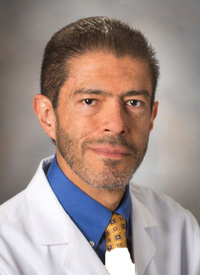 "The results seen across these sensitivity and subgroup analyses further demonstrate the consistency and robustness of the treatment effect seen in the QuANTUM-R study with quizartinib," said Jorge E. Cortes, MD, Deputy Chair of the Department of Leukemia in the Division of Cancer Medicine at The University of Texas MD Anderson Cancer Center. "Additionally, these new analyses further support the value of targeting the FLT3-ITD driver mutation with a highly selective and potent FLT3 inhibitor such as quizartinib to help reduce leukemic burden and potentially allow patients to live longer as compared to salvage chemotherapy," added Cortes. Based on the QuANTUM-R study, the FDA granted a priority review designation to a new drug application for quizartinib in November 2018 for the treatment of adult patients with relapsed/refractory FLT3-ITD–positive AML. Under the Prescription Drug User Fee Act, the FDA action date for a decision on the application is May 25, 2019. The most common grade ≥3 hematologic adverse events (AEs) in the quizartinib arm included thrombocytopenia (35% vs 34% in the salvage chemotherapy arm), anemia (30% vs 29%, respectively), neutropenia (32% vs 25%), febrile neutropenia (31% vs 21%), and leukopenia (17% vs 16%).